October is ACMP Drop-in and Play Chamber Music Month! This new program is a great way to gather together, meet new friends – ACMP members and others – and work on a favorite piece of music. 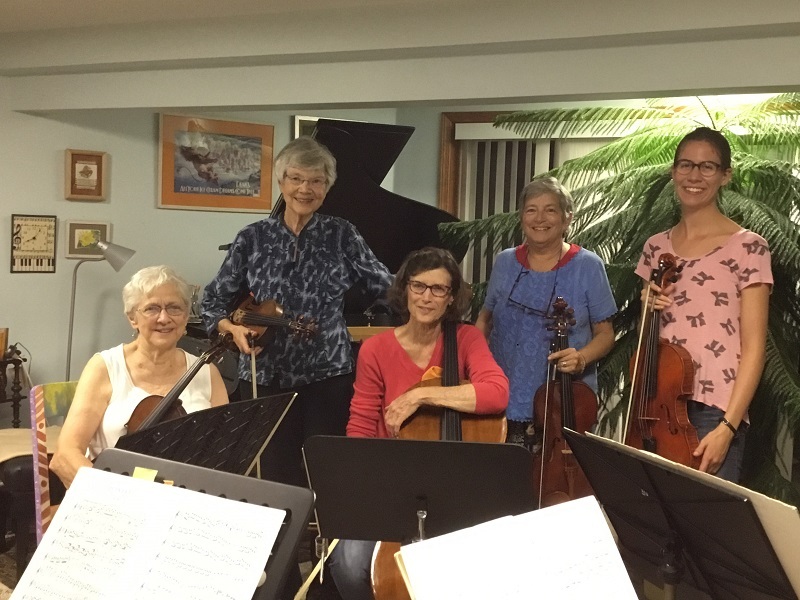 Now underway, ACMP members and others are kicking off the season with Drop-ins, Play-ins, recitals and more to get the music - and friendship - going. An ACMP Drop-in focuses on playing one piece of music on a day that works for you in October. Unlike a Play-in, players spend the time working with an ensemble of players on a piece you’ve selected and prepared in advance. Or you can create your own model to get together with some people you don't usually play with and play. Players reach out to other players in their area who they don’t regularly play with, especially new ACMP members or people they’ve met at workshops during the summer. Sponsor a Drop-in! Anyone can host a Drop-in anywhere. Invite others to join you – at least 4 – 6 weeks before the Drop-in – specifically for the parts in the piece. If you have a regular ensemble, reach out to different players. Players will sign up in advance. Once you have the players you need, sign-up is closed. Players DROP In and PLAY! Let the ACMP office know about your Drop-in and send us photos/videos. ACMP members can use the Find Players online messaging system to contact players, as well as through their networks. Participants don’t have to be ACMP members – we hope it might encourage new people to join us! 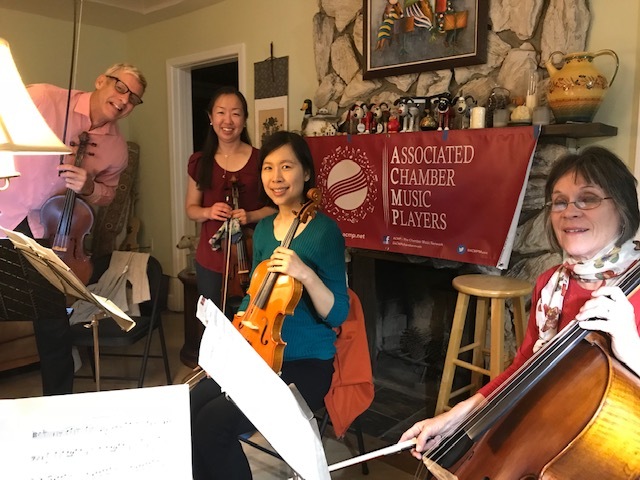 We hope our first ACMP Drop-in Month will be new way to honor the spirit of ACMP’s founders by getting players together to explore great music in a very focused and “low maintenance” way. ACMP does not keep a list of all Drop-in and other events - we recommend you reach out to players in your area via Find Players online or the new ACMP Directory to find or initiate a playing opportunity.